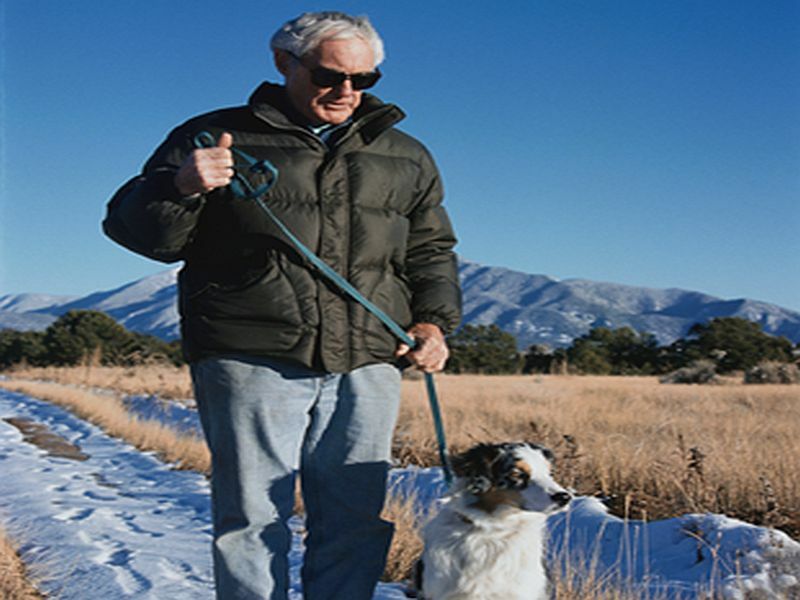 "Pets can provide companionship for older adults, and the physical exercise from regularly walking a dog may improve other aspects of physical and psychological health," said Dr. Matthew Hepinstall, who wasn't involved in the new study. "So, the risks of walking a dog should be balanced against potential benefits," said Hepinstall, who helps direct joint surgery at Lenox Hill Hospital in New York City. The new research was led by Kevin Pirruccio, a second-year medical student at the University of Pennsylvania. His team tracked national data and found that among people aged 65 and older, fractures associated with walking leashed dogs rose from about 1,700 cases in 2004 to almost 4,400 cases in 2017 -- a 163 percent rise. The most common type of fracture was a broken hip (17 percent). That's cause for concern, Pirruccio's team said, because the death rate linked to hip fractures in people older than 65 is close to 30 percent. The researchers added that the study only involved data on fractures treated at emergency departments. The actual number of dog walking-related injuries among seniors might even be higher if injuries not typically seen in a hospital -- for example, tendon or muscle tears -- were factored in. In a university news release, Pirruccio stressed that walking your pooch each day "has repeatedly demonstrated social, emotional and physical health benefits." It's also "a popular and frequently recommended activity for many older Americans seeking new ways to stay active," he said. On the other hand, "patients' risks for falls must be factored into lifestyle recommendations in an effort to minimize such injuries," Pirruccio said. "The take-home message for older adults and their families is that, when choosing to care for a pet, be sure to consider the strength and coordination of the older adult, and the size and expected behavior of the pet selected," he advised. "When the mobility of older adults changes, they should be encouraged to re-evaluate their ongoing ability to care for any pets," he said. "This will help ensure that the health and other needs of the adult and of the pet can be properly managed."